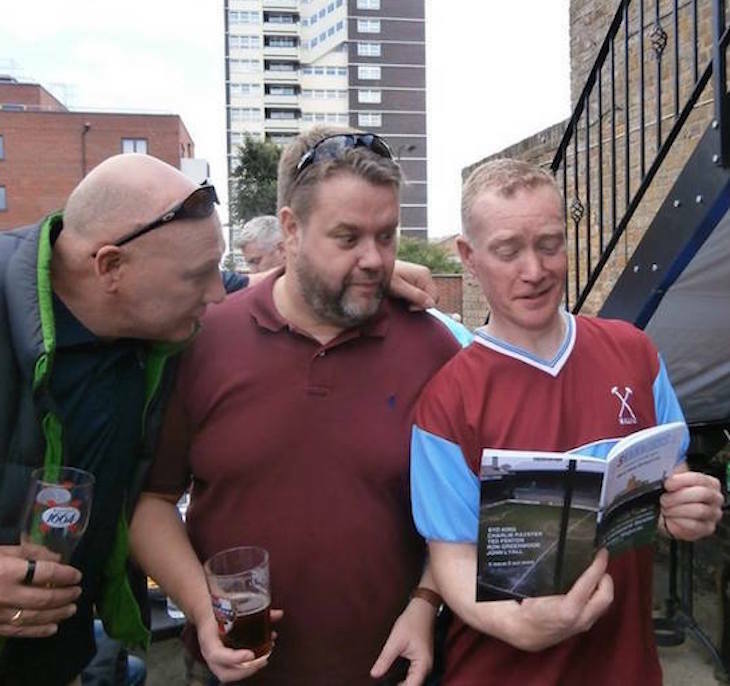 Outside the gates at any West Ham match you'll find lifelong Hammers fan and editor Joe England flogging his literary fanzine to bemused football fans. You might not expect to find a willing poetry audience here among the sea of claret and blue, but Joe's mixture of urban photography and hard-hitting tales depicting working class culture seem to hit the mark. "Selling on the street is not an easy game," says Joe, editor of Push, whose first issue went on sale in 2013 at a West Ham v West Brom. He sold out at that first game and mostly takes his magazines to sell at the gates or in East End boozers: "It is easier to sell to punters in pubs when they have had a good drink and especially if West Ham have won," he adds. Joe didn't get into reading till his 30s. He flashes a cheeky grin before admitting he was a "disruptive little fucker" at school but says the thrill of selling out of his bag is "interacting with men that have never read a book before and who are suddenly reading things that they’re connecting with". At West Ham in the 80s there was an explosion of football fanzine culture which Joe embraced, preferring the DIY stuff to official football club publications. He says: "It was proper revolutionary. And it got me into writing. So it seemed a natural environment to sell Push when I started out as a I knew the streets and pubs well." It is easier to sell to punters in pubs when they have had a good drink and especially if West Ham have won. Joe recalls a trip he took last year: “West Ham did a little tour in Germany last year and I went with what I suppose the tabloids would call a bunch of hooligans.. one of 'em did get attacked by Dusseldorf fans and he broke his fist. What is it that gets men hooked, despite stereotypically not being the type that would admit to liking literature? Joe believes there's a gap in the market for working class writers which is neglected by the mainstream. "Firstly, the writing is rarely football themed. Often the writing is not for faint hearts. And that, I believe is one of its strengths." He's right. Characters that appear within Push are abusive, broken and downright sexist at times, but they usually get what's coming to them. They work in factories, slaughterhouses or don't work at all, and the language is raw and full of competing accents. In Push 18 you can read about a shop in Stratford which supplies specialist lighting for cannabis growers. It also contains a spot-on description of an Essex nightclub: "Faces was a Hoddesdon dive playing wall-to-wall smoove groove rammed with toilet-chic babes hooked on Malibu and Pineapple, prinked up in Primark not Prada." Many of the writers lament for long-gone local pubs and venues, a theme of Push 19 which contains photographs of the redevelopment of the Millennium Mills in Silvertown as a "gentrified wonderland". For Joe, Push 19 “encapsulates the last stand of a particular culture and community”. Die-hard West Ham fans will enjoy Joe's other fanzine, 5Managers, which is solely focused on this, West Ham's final season at The Boleyn Ground, and the memories embedded there. Issue one included interviews with Frank Lampard Sr and East End punk band Cockney Rejects. Issue two features John King, author of The Football Factory and Grant Fleming — "an old school hooligan whose also gone on to be a filmmaker". A literary fanzine at a football match is a rare sight but he says: "5Managers could continue its life in Stratford cause it’ll still have its retro appeal." 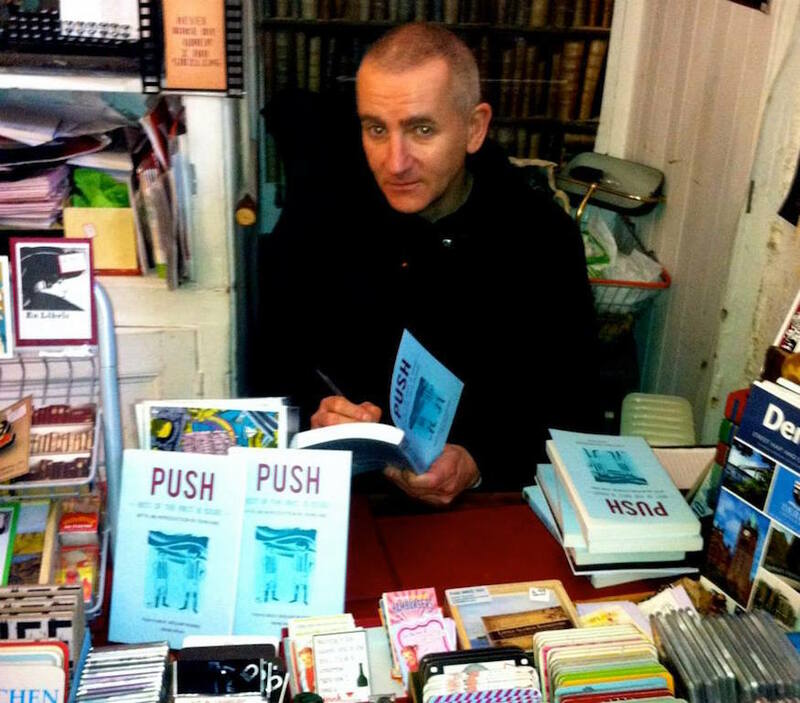 Independent publisher East London Press has embraced Push's antiestablishment DIY ethos by publishing Push 1 and Push 2, anthologies of the magazines which include interviews with authors Roddy Doyle, David Peace, John King and musician Thurston Moore. So how much is Joe selling Push for? "Each issue on the street costs £2. Print runs were originally small, around 150 copies, but now I do between 400-500 copies each issue. And they all sell out." He adds. Contact Joe via his blog to find out where you can pick up a copy.